Endless OS can Freeze or Hang due to many reasons like any other computer. But, I am going to discuss how to deal with the Freezing of Endless OS due to lack of RAM or Processing Power of CPU. 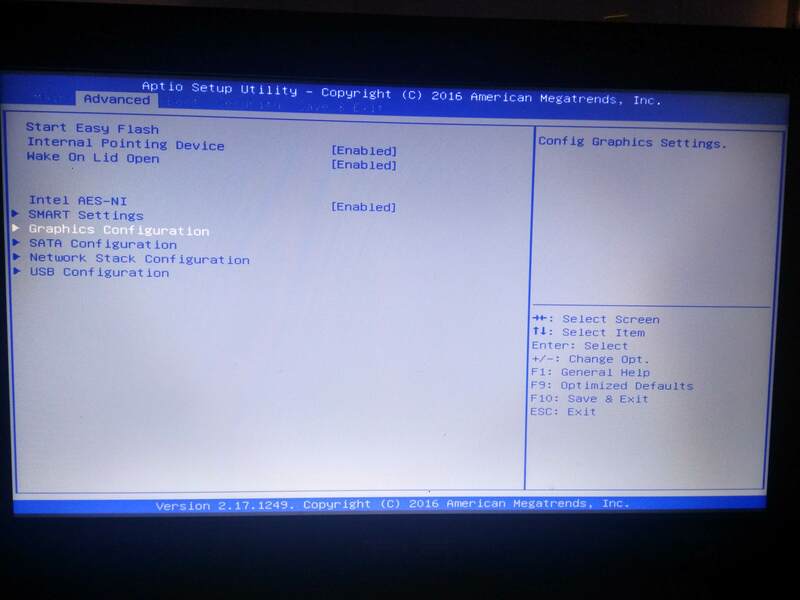 OS starts normally and Apps work fine. 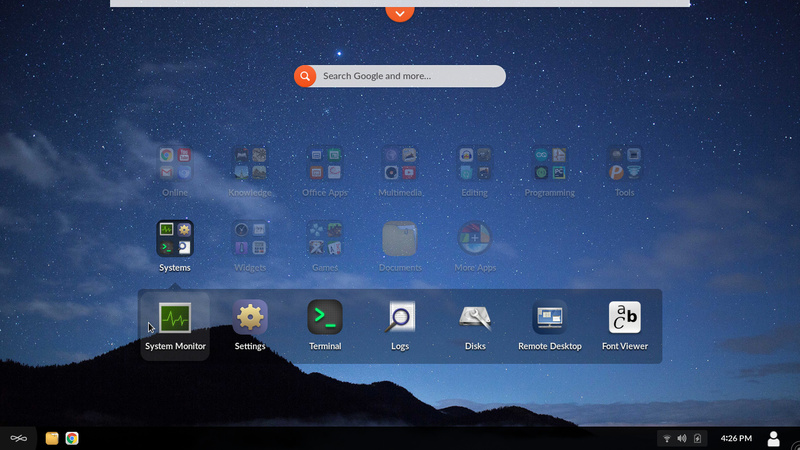 After Running Few Apps at once or Multiple windows on the same App ( tabs on Chrome ) suddenly Endless OS freezes . Here, 1.2 GB RAM out of 1.7 GB ( Actually 2.0 GB but 256 MB is pre-allocated for the Integrated Graphics ) is occupied. 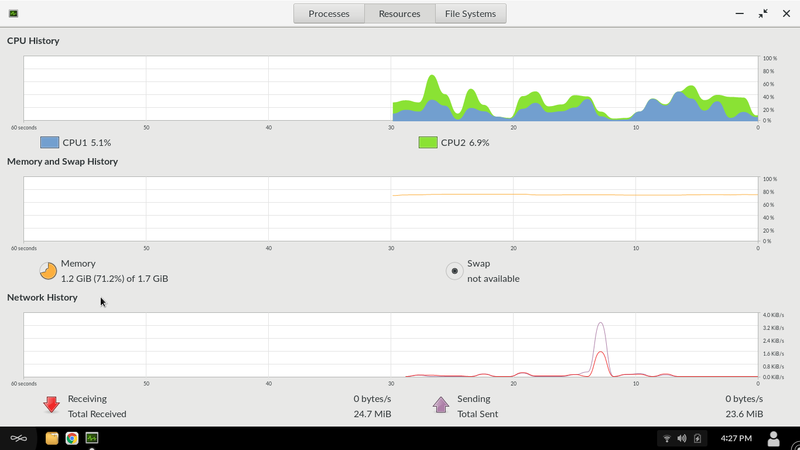 Running one or two more Apps will stall the Endless OS as soon as occupied RAM reaches close to 1.7 GB ! 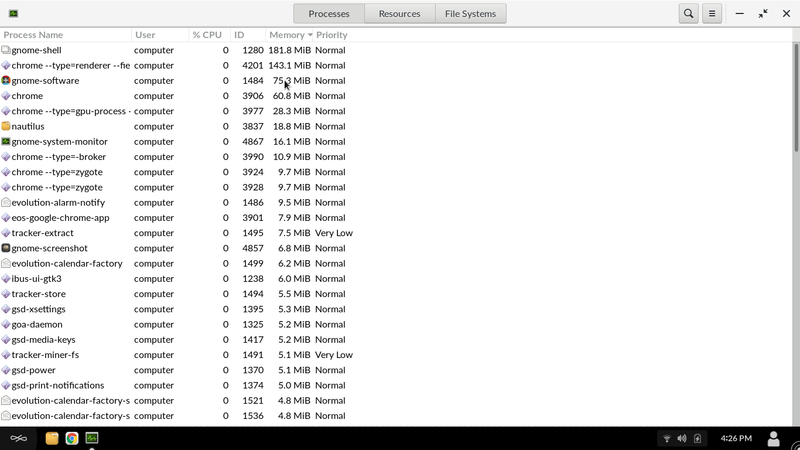 Keep an eye on System Monitor while running multiple Apps ! 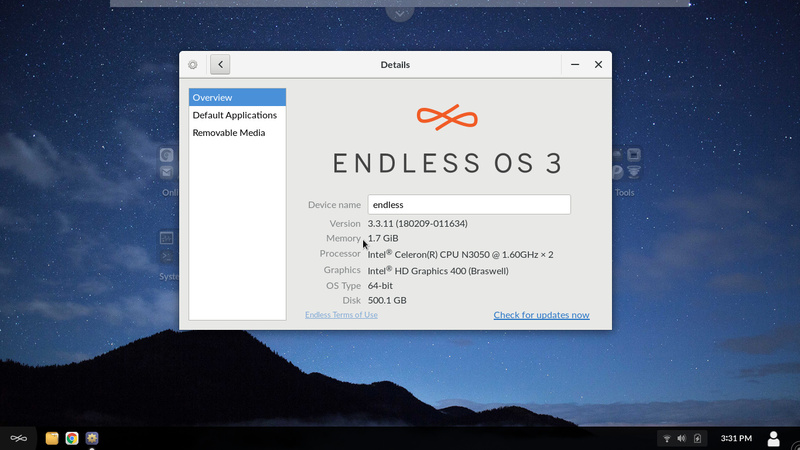 **** Since many notebooks from ASUS comes with Endless OS preinstalled, so I think it’s worth sharing this option. Intel HD Graphics (Internal) works by taking a portion of the RAM, larger the Graphics Memory lower the RAM. My ASUS Notebook’s internal Graphics occupied 512 MB RAM at first leaving about 1.4 GB RAM left for the system. After doing this tweak, I have 1.7 GB !! For what it’s worth, this is an issue we’re looking at addressing. Upcoming releases of Endless (in the months time frame) should behave better on low memory systems (possibly by using less memory for disk buffers, more aggressively killing processes when memory is almost full, or something similar). In the meantime, try to limit the tabs that you have open in Google Chrome. If you like to keep multiple browser tabs open, you might have a better experience with Chromium (“Internet” in the app center), which automatically discards tabs that are less recently used (and automatically wakes them back up when switching back). (This is a feature we enabled in the open source Chromium package, but which we are unable to control in Google Chrome.) The downside to using Chromium is that we are not able to freely distribute some of the video codecs, which is why we guided users to using Google Chrome by default. @roddy, I tried to make a Swap Partiotion with Gnome Disk and was able to make a Swap Drive but it didn’t work as virtual memory , any idea why ? Long ago I used a Linux Distro called PUPPY LINUX where the Swap drive worked and the system was very responsive with very little RAM ! 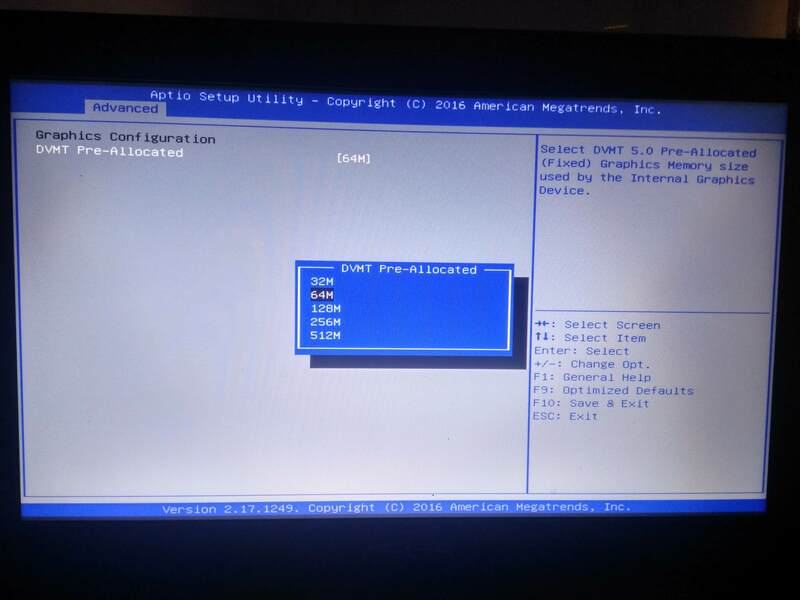 Thanks for the tip about the graphics memory setting in the ASUS BIOS! You should be able to make a swap drive or a swap file that works as virtual memory. With spinning hard drives, though, the performance is pretty poor. We have recently (as of Endless OS 3.3.15) enabled zram for all users, which sets up a swap of compressed pages in memory, and performs much better than swapping to hard disk in our testing. With this change, we disable any swap partitions that had been set up, but after booting you can manually adjust your swap configuration with the swapon and swapoff commands. We are working on other changes to improve memory consumption in upcoming releases, so hopefully you will see further improvements over the next couple months. @roddy, Sorry to you too for late reply, because I have moved to a new machine with SSD. Not using the “Endless OS” right now ( although, I am keeping it with my new machine just in case Apocalypse hits and Internet goes down ! ) . Thanks for informing me about the improvement on swap, I guess I will boot into the old HDD and update my Endless OS installation. By the way, will swap partition on SSD/USB 3.0 work better ? The Endless release that will come out in in 3 days (3.5.0) will behave better in low memory situations (and try to kill processes rather than freeze).